I used to clean houses with a professional cleaning company. One of my customers preferred me to use this mop. I absolutely love it! It really does get a lot of dirt off the floor and the spinner drains it from the mop. Great product! I chose this because I do not have a washing machine and I saw a video where someone was using this to wash clothes and it actually worked pretty good . WANTED A NEW KIND OF MOP !!! My cleaning girl uses this for my terrazzo floors and they look so nice and it looks easy enough for me to do even though I'm older.... I like to mop my floors often.. Hoping this item is as good as they say it is. I can not use a lot of chemicals or water on my original hard wood floors; hoping this helps me clean and not get every thing very wet. A friend already has one and she loves it. I tried hers and I love it too. You don't have to touch the mop head and it doesn't leave puddles of water. quality work and very functional item. had my last one for ten years. It also eases the trouble of having to bend down and squeeze a mop. This mop is great for my small apartment. I'm not able to stoop and twist, so the spin bucket is ideal. Had been wanting this for sometime. A friend got one and said it was the best thing ever. Wanted to try it out for myself. My son will be going back to college in August,and will need something compact like this set, I already have one for my home. Mop last longer. you can wash the mop head and the spinner does the wringing for you. No more using hands to wring out dirty water. My daughter bought this mop and loved it. I am hoping I will too. Saw on TV and feel it will work good. Have 3 small pets and I need to mop up regularly. It is hard to bend over at my age. This. Makes it so much easier. 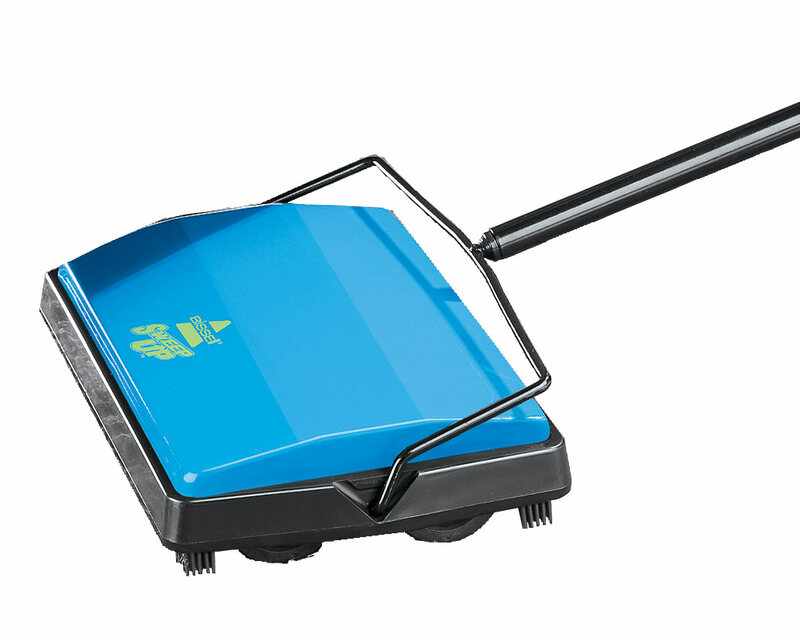 I had one of these before and they work great, easy to move around and easy to clean. I need a new mop. This look like what I'm looking for. Recommend by a friend. I saw it used at her home on a spill. Look like it would work well and it does! 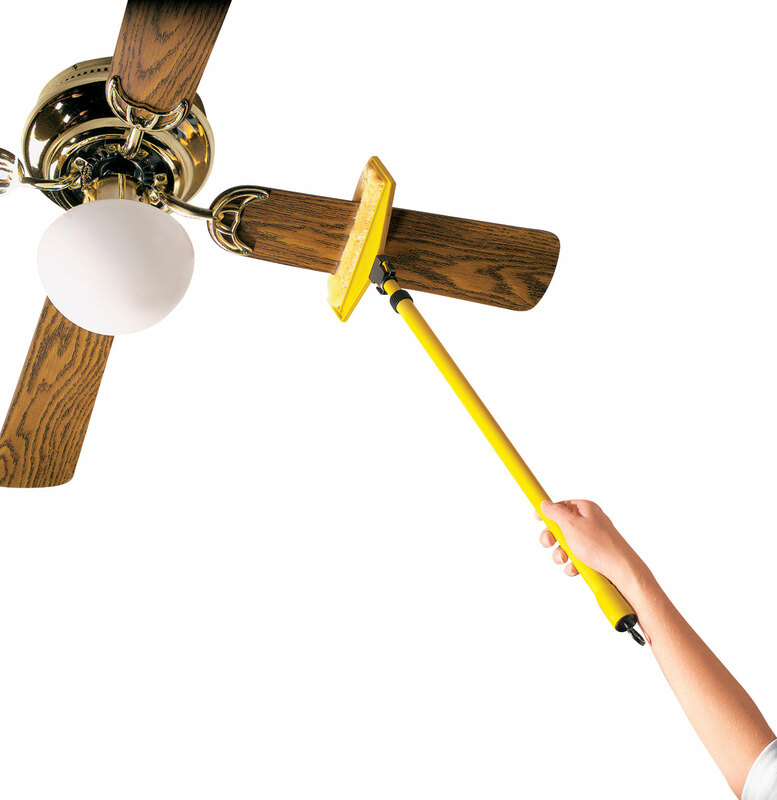 Spins well, great for cleaning laminate flooring. HOW DO U REMOVE THE MICROFIBER HEAD ON THIS MOP? DO I UNSCREW AT THE TOP OF THE MOP HEAD TO GET IT TO GET THE MOP STICH TO SAND UP? BEST ANSWER: If you assembled the mop correctlly, the 'on/off' should be in the middle. In order to get the mop head to be upright, I move it into place with my hand. To get it to slant, I push the mop head to release it from it's upright position. I might add that for corners, I put the mop in a corner and then use my hand to make certain the mop head has gone into a corner. I hope this helps. I personally like using this mop. the first blue twist control from the bottom up from the mop head approximately a foot or so .. this will allow you to tighten or loosen the handle. mine had an on off sticker, I loosen when I am ready to mop and twist tight when I need to place in bucket to spin. 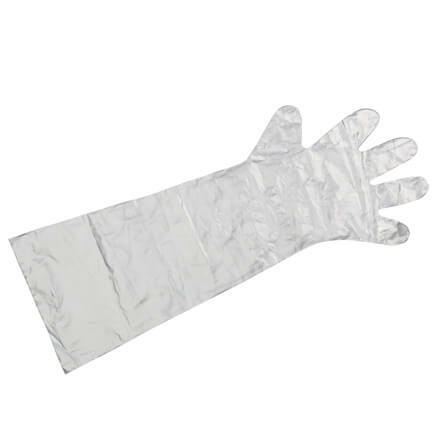 it also allows you to shorten or lengthen the handle to your fit. hope this helps.. Does the mop head spin? BEST ANSWER: Who ever invented this mop is a god sent. I am 67 years old and finally got a mop I love. Yes it spins to how dry you want the mop to be. It handles easy, just push the mop handle up and down and they you are. I LOVE this mop. If you want to make someone happy, buy them one of these for a gift. They are not expensive and made too last. 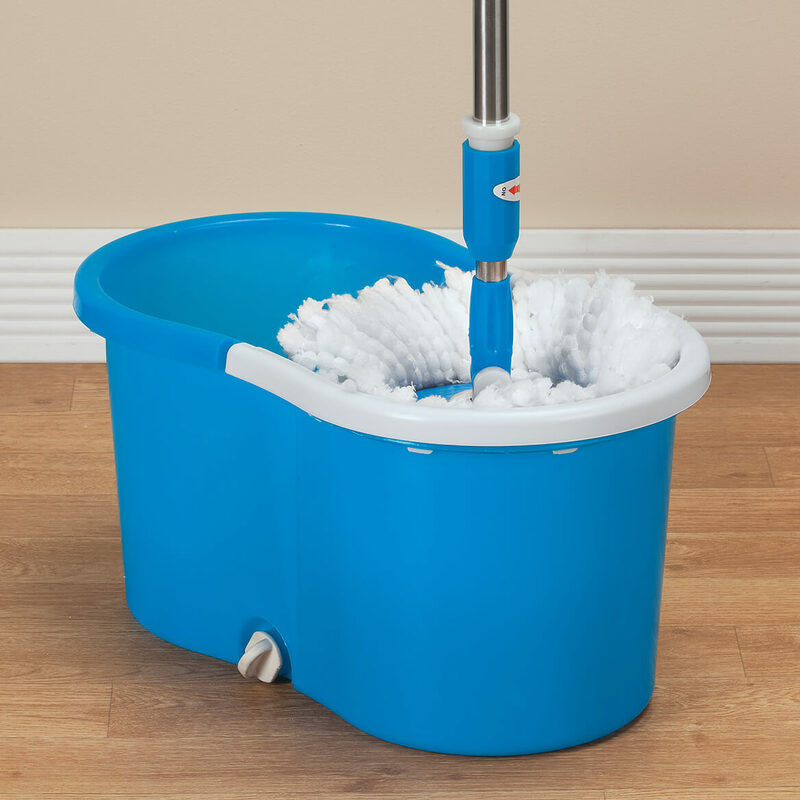 It spins a little, but it's a great mop and so easy to use, I LOVE IT! Yes it rings the excess water out very well. Yes it does! We enjoy ours a lot ! BEST ANSWER: actually you do just pull it straight off. it pops off and then it pops back on nothing to loosen or take loose ,just hold it in front of you and push outward against yourself till it pops off , hope this works . 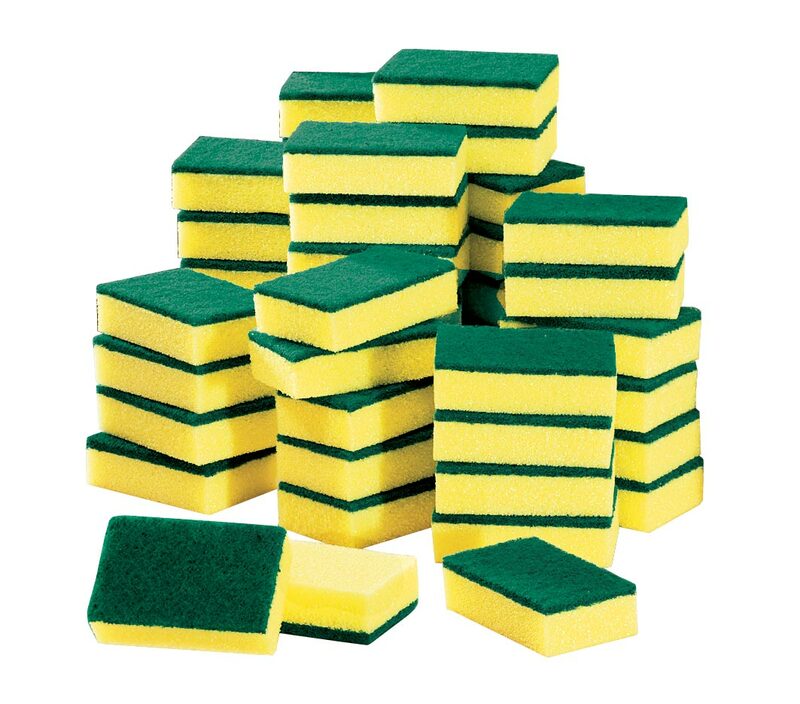 I have used mine several times and removed each time this way to launder.. Thank you for your question. According to the directions the mop head can be pulled out to remove it for cleaning purposes. We hope this information will be of help to you. How do I remove the microfiber head on this mop? BEST ANSWER: It just snaps off the bottom, not the plastic, just the mop head. I wash mine in hot bleach water, and it comes out great, ready to use again, and just snap back on. You just pop it off. Hold the head with one hand and the plastic mop top with the other and just pull down on it, it will pop right off. Hope this helps. Does it come with wheels or are those extra? BEST ANSWER: Thank you for your question. 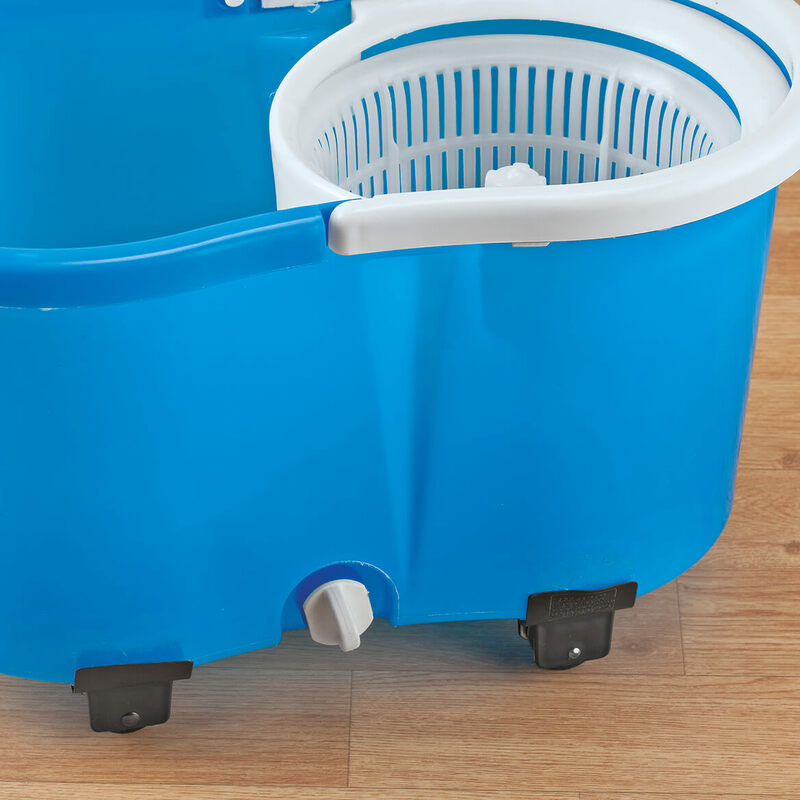 The Clear Spin Mop Bucket will not come with wheels. These are sold separately. We hope this information will be of help to you. Mine didn't. You have to lift the bucket to move it. That little circular button seen on the bottom of the bucket is the water outlet. I would like to order a replacement mop handle ? BEST ANSWER: Thank you for your question. Unfortunately, we do not sell just the mop handle for this item. We apologize for any inconvenience this may have caused. I am unable to unscrew the mop, is there a way to release it? BEST ANSWER: the mop head itself just pulls off. you can push from the top or pull it from the bottom - It snaps on and off. I have already used mine and tossed it in the washer to clean... and snapped it back on.. yes the handles just twist off and it all stores easily .. Hold the handle in your left hand and twist the blue middle from right to left then push down on blue middle slightly. Took me a couple of times to figure it out. Takes some muscle at first. I have no idea, I was going to post this ? myself.. How do you remove the mop head? Yes turn the handle left in a diagnol direction. It will unscrew. Snaps on and off. Push it on; pull it off. how do you change the mop replacement Does it snap off or does it screw off? you have people giving different answers I've tried both ways and it won't come off. Pull off the blue cover. Ease it off at the edge; it should begin to give. 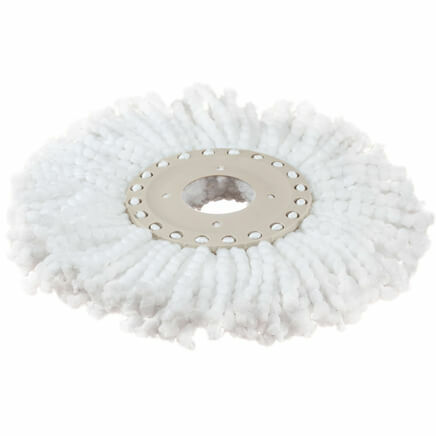 Snap in another mop head and you are good to go. 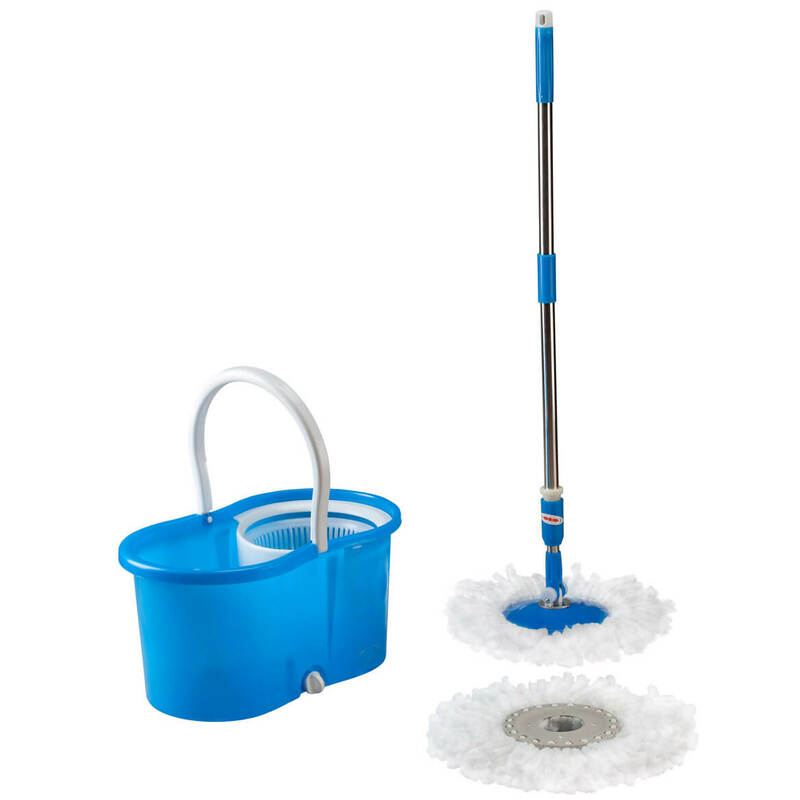 This mop head is designed differently from the other popular device on the market. I have both so maybe that is why you are getting conflicting answers. mop replacement snaps on and off. how can i make the mop handle straight up? 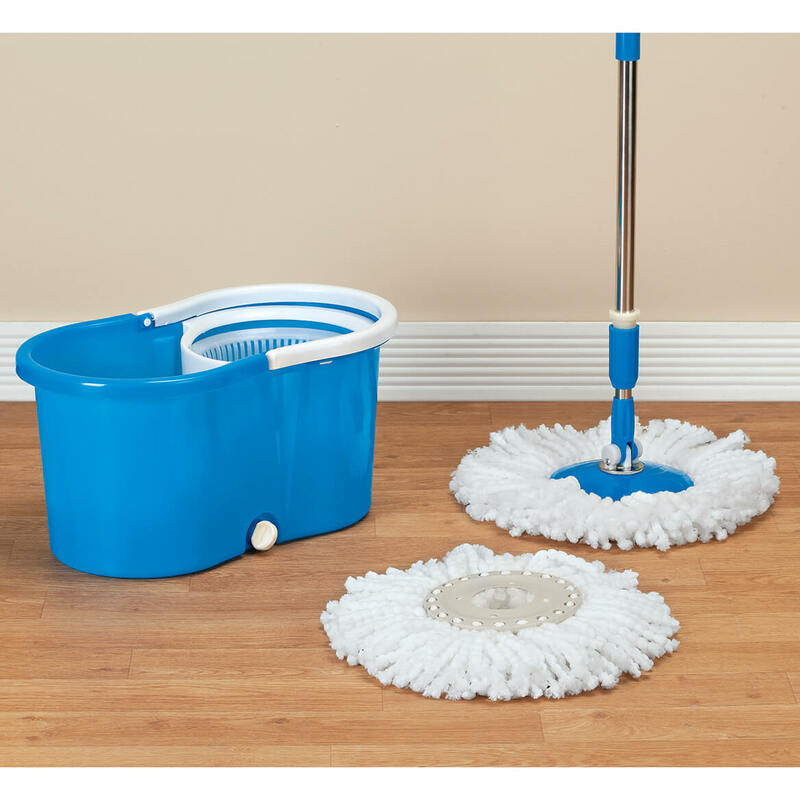 your mop can move in different ways. Put your foot on mop head and then move your handle straight up, or move it with a slight bend and it goes under tables and chairs. I love mine! Does this come with multiple mops?